Weekend With The Pros & B.O.S.S. Detroit/Toledo Chapter Chairman Ryan Yoder, the entire chapter leadership and the chapter are excited to welcome MDNA members to their home town for an exciting, educational WWTP October 26-28th. Mark your calendar now. Hotel, Schedule and all of the tour stops will be announced in the coming weeks. Just added; a lunch stop at The Lingenfelter Collection. 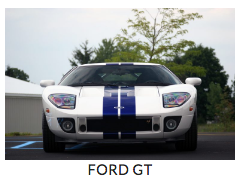 This is a beautiful private collection of more than 150 unique cars in a 40,000 square foot space.Additionally, attendees will enjoy a private evening at the Ford Rouge Factory. We will get an inside look at the making of America’s most iconic truck, the Ford F-150, while taking a private tour of this modern manufacturing facility.These stops plus warehouse & factory tours, and a B.O.S.S. seminar, are all made possible thanks to the members of the Detroit/Toledo Chapter and their hard working chapter leadership. Reserve your room by calling 877-424-5554 and be sure and identify yourself as being with the MDNA to secure our group rate of $139. That’s 3 great events all in the Detroit area so you can save time & money. Weekend With The Pros Sponsorship opportunities are available. Now is your chance to join these sponsors and help make this year’s WWTP Great! Contact Detroit/Toledo Chapter Chairman, Ryan Yoder or MDNA Executive Vice President, Mark Robinson for sponsorship details.